Customers on a Premium Paid Plan can now sell memberships, punch passes and other intangible items online AND at waiver kiosk stations! The Online Membership Sales System is extremely flexible, so there are multiple options on how to set it up based on how you run your operations. We've put together a few step-by-step tutorials, examples and FAQs to get you started. We've updated the SendGrid + RGP integration to include rich, HTML email templates as part of the RGP transactional email system. So now you can choose to use the SendGrid editor to fancy up all of the automated, transactional emails that are sent out to your customers. Your existing email triggers will remain the same until you assign a SendGrid API key in RGP. 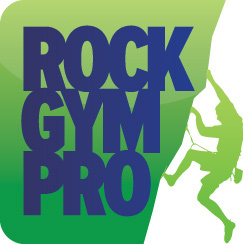 One of the more powerful tools in Rock Gym Pro is the ability to parse all of the data in your RGP database by dozens of different factors, such as activity, membership status, personal information and policies. These RGP Customer Queries got a whole lot more powerful with this latest update. Relative date expressions can now be used (and saved) in queries. Relative dates are expressions that are relative to “TODAY” such as “-1 month, month:start” which would be the start of last month. (If it gets confusing, we've added shortcut buttons to use). Customer Queries can now be saved and used during a different session. Queries are now always auto-saved between sessions too. For any Customer Query Result set, you can now quickly launch the Customer Activity Analysis window to see a check-in or sales report for those customers. If you're using RGP Cloud,you can now transfer your daily sales and payment information from RGP directly into QuickBooks Desktop! When you're viewing or editing a customer in RGP you'll notice a new window adjacent to the Edit Customer Window that displays the Customer Notes. This window is defaulted to "ON" but you can disable by going to: Data Entry --> Manage --> Settings --> Customer --> Customer Notes. The new charts for tracking online transactions from the Online Membership Sales System can be found in the charts list as shown below. There's a new Standard Report in the software that displays the number of daily check-ins within a specified date range, broken down by type (Member, Punch Card, or Guest), hour of the day, and day of week. If you're using custom policies with your forms, you can now configure those forms for more than custom policies #1 and #2. With the new update, submission of a form can check custom policies #3-7 as well. Currently in the new Online Membership Sales System, only prepaid memberships have "start dates" as an option in Settings. To simulate a "start date" for customers that purchase an EFT membership online, we've added a new field in the Membership tab that allows you to limit when a customer can check-in (i.e. not before their membership begins). Emailed reports now include a CSV and HTML version of the report as attachments within the email. The Customer Documents Window now displays an Email button that allows you to quickly send a document to a customer. When editing an Offering in the Calendar, you can now specify a higher hour count for the “only allow online booking within…” field. If you have Quick Configure enabled on any of your Day Pass, Membership, or Punch Card products, after ringing up any product that has an Automatic POS Check-in enabled, a pop up window will appear after tendering the transaction which will allow you to select multiple customers to check-in or configure. Previously only one customer could be selected. With this update you can now search and select multiple customers through the POS quick check-in feature. Charting performance improvements - specifically charting loads significantly faster now, especially for multi-gyms. Membership Sales Link report now includes online transactions.